When considering wolves in sheep’s clothing, we might envision some slick-haired salesman lugging his box of snake oil from house to house. Yet too often nothing could be further from the truth. There are many warnings from Scripture admonishing the saints to pay careful attention as we traverse through this planet’s deadly terrain. We are instructed not to believe every spirit, but to test the spirits (Jeremiah 29:9; Matthew 7:15; 1 Thessalonians 5:21; 1 John 4:1) indicating that the enemy of our souls is very good at keeping up appearances. Sometimes it’s not only difficult to detect a false teaching or teacher, but often it’s even more difficult to come to grips with the notion that an inspiring, talented, enthusiastic young adult might actually be used as a mouthpiece of Satan. Granted, we should use godly wisdom in discerning whether a person leading others in the enemy’s lies is simply misguided or really out to deceive and destroy. The times in which we live are most definitely filled with muddied waters. God’s Word clearly indicates there are a growing number that are not only deceiving, but also being deceived. (2 Timothy 3:13) There are those who actually believe they are doing God’s business (John 16:2) when, in fact, it is the god of this world they are serving. This brief article will not deal too much with the latter, but instead will hopefully serve as a warning and an encouragement in examining one very defined avenue of lies presented by one specific person. Let it also be said that in today’s lukewarm Christian climate, there is a powerful embrace and strong misunderstanding regarding the “live and let live” philosophy pervading every facet of our earthly existence. Instead of being the new and improved super highway it’s cracked up to be, this broad road of tolerance is in actuality paved with the blood of the saints. Over the years, many have given their lives for the Gospel’s sake and yet today, there are whole segments of professing Christianity unwilling to take a stand on the exclusivity of eternal life found in Jesus Christ. They are however all too ready and willing to embrace a vast array of wickedness and deceptive darkness in order to display their friendship with the world; all in the name of tolerance (and enlightenment). Jesus, however, had a much different proclamation regarding the fellowship of darkness and light. His prayer to the Father was that we would be in the world, but not of it. John 17:15. We’re also reminded that “friendship with the world is enmity (hatred) toward God.” James 4:4. How can there be true fellowship between light and darkness? Yes, we should be friendly, but never friends with this world and it’s dark philosophies and practices. How can light embrace the darkness and still call itself light? It was stated above that it’s sometimes most difficult to come to grips with the fact that certain personalities might actually be leading others in a false direction. Any good salesman knows that one of his most powerful tools is his own personality. Not to say there’s anything necessarily wrong with working on having a pleasant personality, but we all know there are certain dispositions in which people tend to gravitate. Someone peddling falsehood with an unlikable attitude might be easily dismissed, even exposed. But someone who comes across genuine, someone energetic and interesting to listen to, perhaps even musically or artistically talented might be much more difficult to detect and even harder to speak out against. Society has always been a lover and worshipper of man’s wisdom, strength, and wealth. Unfortunately, much of today’s Christianity is not much different. We prop up certain actors, pastors, and speakers on billboards, Christian magazine covers, TV segments, and in bookstores. They are looked up to as our heroes and heroines, giving them the seats of honor within our hearts and minds, forgetting it is God alone that deserves all the glory, honor, and praise. Some of these people are given full and free access to the pulpit, allowing the sheep to be fleeced and fed worldly manna over and over, causing them to grow anemic and impotent against this world and its destructive methods. Instead of reminding the sheep of the hope we have in Heaven, too often these false teachings encourage listeners to grow their roots deep into this planet, letting go of their heavenly hopes. Of course this is not true of all those on the “stage” today, but one thing is for sure, Christians are not immune from the power of personalities. As saints, we are set apart for the service of our King, not those who set themselves up as earthly authorities. Sadly, too many churches have started much in part because of one person’s magnetic personality. As believers, we are not to sit idly by in our labor of love unto the Lord, nor are we to sit in silence, quietly giving approval to falsehood proclaimed to the masses. Are we not called by God to expose the works of darkness? Ephesians 5:11. Are we not called to reprove, correct, and exhort with all longsuffering? 2 Timothy 4:2 This world is daily peddling its false doctrines to the church and we too often just politely smile. Over time the church has become an unwitting participant in receiving and assisting in the circulation of their snake oil. May we diligently ask the Lord to remove our dull hearing and blind eyes and instead give us careful, discerning hearts and minds to detect those things that are sometimes difficult to see and hear. May we ask the Lord to give us a love for the truth, a love for Jesus Christ! May we desire to earnestly feast on His Word, spiritually fasting from this world! The world lines up to have its flesh entertained, loving pleasure more that God, and sadly God’s people too often love to have it so. Church meetings have not remained a time for the saints to gather and proclaim the glory of God, but rather a place we go once a week to be entertained. We might as well sell soda and popcorn at the doorways. We go to our movie theaters and concerts on Friday nights and then expect the same show on Sunday mornings. Above were mentioned some of the positions lifted up in today’s Christian world, but one was intentionally omitted. It is arguably one of the most powerful positions in the Christian world today. It is the title of “Worship Leader”. This person, perhaps even more than the pastor, has the power to “prime” and direct the audience week after week. This article is not meant to address the many facets of worship, however suffice it to say that music is an extremely powerful tool, one that can easily access the soul, often bypassing logic and reason. Perhaps more than any other medium, music is the vehicle most often chosen to drive an audience in a particular direction. If you disagree, try watching any cinematic masterpiece with the sound off. You cannot go to just about any retail restaurant or popular clothing store without being bombarded with music. And not only is it a powerful main character in the world of entertainment and marketing, but it’s also a tremendous tool in promoting false doctrine and seductive spiritual counterfeits around the world. 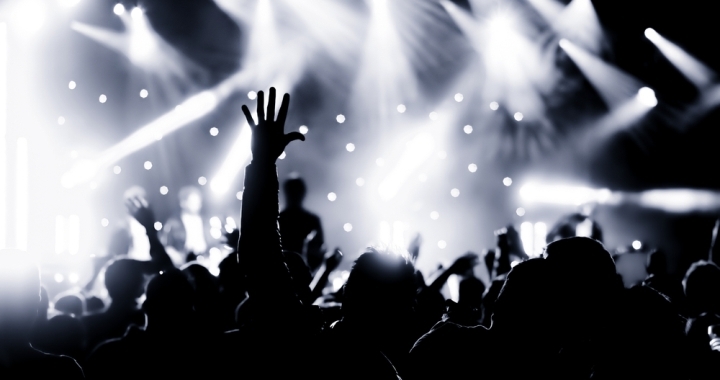 Some musicians propped up and circulated by today’s “Christian” platforms and pulpits are at best novices in the faith, puffed up through the adoration and accolades of men, while others are truly false teachers masquerading as angels of light. Sadly, due to their talent and strong stage presence countless thousands within the body of Christ have found themselves distracted and directed by the darkness derived from the spirit of this world. What is perhaps most troubling is the readiness by which so many musicians and worship leaders are received and promoted regardless of their lifestyles, doctrines, and associations. Mature pastors and elders within the body should know better, however too often they are the ones promoting and even hosting concerts and conferences that help sow the seeds of this world’s teachings of tolerance, fleshly faith, and false unity. It’s bad enough to be peddling snake oil, selling some worthless, yet benign elixir to the masses. How much worse to be packaging and promoting a product that not only doesn’t work, but in all actuality is poisonous to all who partake? The remainder of this article will examine one such peddler, yet it is not the intent here to examine his motives but rather the facts at hand. As with any persuasive and positive personality, it will perhaps become easy for readers to misunderstand the intent behind the remainder of the article. There is no desire to malign on a personal level nor is there any desire to disparage this musician’s character or perceived intent; however there is clearly a destructive message being sold to the masses, often to the most vulnerable, the youth within the visible church at large. 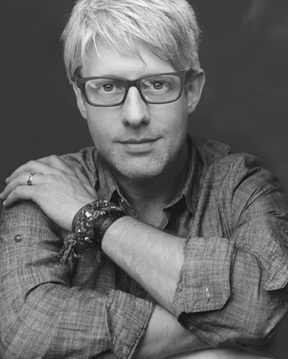 The person in question is musician and evangelist, Matt Maher. Matt has been propped up and promoted around the world as a Christian singer and songwriter and is currently touring cross country with the several well known groups in “The Rock and Worship Road Tour”. Matt has both written songs for himself, as well as for several within the Christian community. Perhaps one of his most recognizable songs is “Your Grace is Enough” which was released a few years ago and quickly accepted within Christians circles around the world. Matt has written songs for well-recognized Christian musicians such as Matt Redman, Chris Tomlin (i.e. I Will Rise), Philips, Craig, and Dean, and Bethany Dillon. Regardless of their mixed doctrinal beliefs, especially concerning eschatology (end times); all of these artists are some of the most instrumental in producing today’s worship music. They are embraced by churches around the world. Needless to say, they have many avenues already paved, readily accessing the hearts and minds of listeners across the globe. How easy it is for a false teaching or teacher to hop aboard, sharing lies that will lead listeners astray? Although Matt Mahar is a talented musician with a warm and humble persona, although he is warmly embraced and promote by the well known performers such as Chris Tomlin and Third Day’s Mac Powell, he is far from a follower of the true Jesus Christ. But please don’t take this writer’s opinion for it. Here are just a few facts from recent years. On the surface that might sound biblical, but is he really referring to the Christian God? It is important to examine what else He has said and done. Matt has not only given interviews for magazines and websites, but he’s also done many performances for a variety of venues. He has played and spoken at many Roman Catholic events including such prestigious gatherings as the World Youth Day. Readers may or may not know that Matt has never claimed to be a Bible believing, born again Christian. He is Roman Catholic, through and through. He does not try to, in any way, shape, or form, hide his love for the Roman Catholic church and its many false doctrines. In one of his popular Roman Catholic songs entitled “The End and The Beginning”, he wrote, “If everything that the Roman Catholic Church taught were true what difference would it make in our lives? We believe that in every single Mass, through the power of the Holy Spirit, that the bread and the wine are transformed into the Flesh and the Blood of Jesus. Transubstantiation – Heaven kisses earth. We become a living tabernacle. So wisdom, be attentive. Steady my shaken mind. Let this be my reality. More than just bread and wine…” This alone should be enough to convince anyone that Matt is at best a professing Christian. In reality, he is a devoted practicing Roman Catholic. Even though this article is not meant to focus on the false gospel of Rome, it is important to at least point out the glaring difference between the true Gospel of Jesus and the false gospel of Rome. According to Rome’s official doctrines, anyone who believes he is saved by grace alone through faith alone is accursed, that is damned to hell. (Council of Trent, Canon 12- “If any one shall say that justifying faith is nothing else than confidence in the divine mercy pardoning sins for Christ’s sake, or that it is that confidence alone by which we are justified . . . let him be accursed.”) In order for someone to enter Rome’s heaven, he must not, as the Bible teaches, simply place his faith in the full, free, and finished work of Jesus. (Romans 3:20-28). Instead he is taught that sin is removed little by little, week after week through a series of rituals such as partaking of the Eucharist, reciting rote prayers, etc. Below are several You Tube links of Matt Mahar and his connections to Roman Catholicism, along with a couple other links as well. Sadly, Matt has been warmly embraced by all variety of well-known Christian artists such as Chris Tomlin, Matt Redman, Mac Powell, and Philips, Craig, and Dean. Currently Matt is touring with several artists in “The Rock and Worship Road Show”, singing, speaking, and ministering to literally hundreds of thousands across the country. Some of the other artists on the tour include David Crowder, Jamie Grace, and Mercy Me. (Incidentally, the “Road Show” will be performing in Phoenix on March 22nd.) Matt also recently made a guest appearance for Third Day’s concert at the Beacon Theater in New York City on March 3rd. There are those in the Christian music world, such as Dan Haseltine from Jars of Clay, that don’t want to be held accountable for doctrinal errors they share, believing musicians should not be looked up to as teachers. This is dangerous enough. How much worse when an unbeliever dressed in wooly clothes sincerely sees himself as an evangelist and his music simply as his tool? The question must be lovingly asked, of what does Matt considers himself an evangelist? He clearly understands and supports Roman Catholicism. He clearly believes in the unbiblical idea that Eucharist has the power to cleanse partakers of their sins. He most definitely embraces and encourages the practice of Rome’s false gospel to millions of youth and adults alike. He has made no effort to hide any of this and yet, thanks to assistance of the Christian music world, his message and evangelistic crusade now have full access to the hearts and minds of tens of thousands within the true body of Christ. How tragic! Which is worse, the person openly promoting his false gospel or those claiming to know the true Gospel who hand him the keys to the front door? So what are we to do? As far as I can see, there are three choices. First, we could embrace Roman Catholicism and all of its false religious teachings, supporting it and saying nothing to all those who are being led astray. Or we could choose to agree that Rome’s gospel is false, but still support the songs of artists such as Matt Mahar because they at least sound “Christian”. The challenges in this article to identify the dangers of personality probably most apply to those who lean toward this second option. Too often those who privately understand the falsehood of Rome’s gospel, will still support and even promote artists such as Matt Mahar because their music sounds so “Christian” and they seem so religious and sincere. May we never forget when Rome speaks of God’s grace it has a completely unbiblical definition for it. When Matt sings “Your grace is enough”, the Roman Catholic will inject his own traditional definition for grace, not the biblical one. Rome teaches grace, but in order to enjoy and apply God’s grace, one MUST go to the Roman Catholic church time after time, partaking of its rituals and religious traditions such as the Eucharist. Unfortunately, we too often make the mistake of assuming others have the same definitions as us. It is always important we listen carefully to what people are actually saying in order to discern truth from error, weighing everything against God’s Word. Our third choice is one that many may find most difficult. In Ephesians 5, Paul, through the inspiration of the Holy Spirit reminds us, “For you were sometimes darkness, but now are you light in the Lord: walk as children of light: (For the fruit of the Spirit is in all goodness and righteousness and truth;) proving what is acceptable unto the Lord. And have no fellowship with the unfruitful works of darkness, but rather reprove them.” Ephesians 5:8-11. Not only are we instructed not to participate in those activities that promote false doctrines, we are also to lovingly, yet truthfully expose them. This is the avenue that will often cause the most controversy. Darkness does not enjoy the light, nor do lies embrace the complete truth. Of course, it goes without says that we are to always speak the truth in love, with the Lord’s peace and joy in our hearts, knowing it is His Word, not ours, that effectually works in the hearts and minds of broken and contrite men. May this article both serve to instruct and encourage true saints to continue fighting the good fight of faith, never growing weary in doing well. Remember, it is the Lord who goes before and behind. May we never lose sight of Him, having the sole intention of pointing everyone to Jesus Christ, and Him alone. That might mean exposing and correcting from time to time. That might mean naming names once and a while. It might mean not going along with the popular Christian crowd, but in the end what could be greater than knowing we have chosen to make Jesus our one and only treasure now and forever? « JESUS REALLY IS THE REASON!